By investing in your staff wellbeing you can reduce that stress and see an increase in productivity and a happier, healthier workplace. 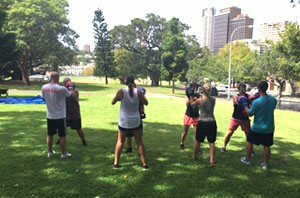 Absolutely Corporate provides on-site health and wellness services for corporations across Australia. Our qualified therapists are skilled at melting workers' weekday stresses in small, medium and large business environments, without disrupting the day. 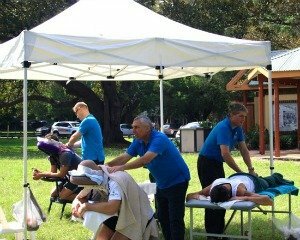 The Garvan Institute of Medical Research has partnered with Absolutely Corporate to provide a regular monthly service to assist our staff and researchers to relax and look after their emotional wellbeing. A great service, excellent therapist and enjoyable experience. 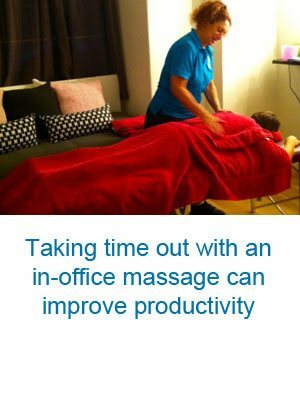 RESI’s CEO talks about the benefits of having Absolutely Corporate onsite corporate seated massage in the workplace. 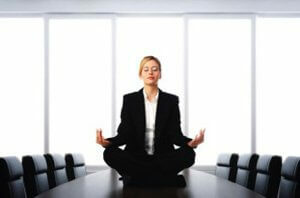 why invest in wellness programs? Ready to invest in your team’s health and wellbeing? You will be surprised at just how affordable our corporate health services are. Delivered in most cities. 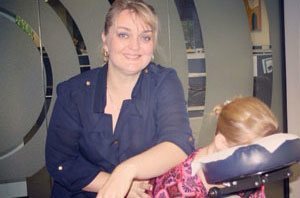 Have a question about helping your staff with a corporate massage or other workplace wellness? We guarantee you 100% satisfaction with our service. We work with you to ensure the right therapist is assigned to you and your staff, and that you’re all happy.